The percentage of immunised children in Central African Republic (CAR) has fallen sharply since the crisis began in 2013. Médecins Sans Frontières (MSF) is now planning to vaccinate one quarter of all the country’s children against the principal childhood killer diseases. However, this type of campaign is exceptional due to the prohibitive cost of the pneumococcus vaccine. Amsterdam, Bangui, Barcelona, Brussels, Geneva, Paris, 13 January 2016 — Médecins Sans Frontières (MSF) has launched a vaccination campaign of unprecedented scale targeting some 220,000 Central African children. Initiated last July in cooperation with the Ministry of Health in the north of the country, the campaign has now moved to sub-préfecture Berberati in southwest CAR and will gradually be extended to all 13 sub-prefectures where MSF runs medical programmes. It is set for completion by the end of 2016. In addition to this large-scale vaccination campaign, MSF is to enhance and scale-up vaccination services in the health facilities where it works. These two strategies will enable the organisation to provide under five-year olds not yet fully immunised with up to nine antigens. Furthermore, preventive measures such as distributions of Vitamin A, bed nets and anti-parasite treatment and malnutrition screening will be implemented according to each sub-prefecture’s specific needs. Official Ministry of Health figures show that the political and military crisis that began in 2013 is the cause of the collapse in immunisation coverage rates. 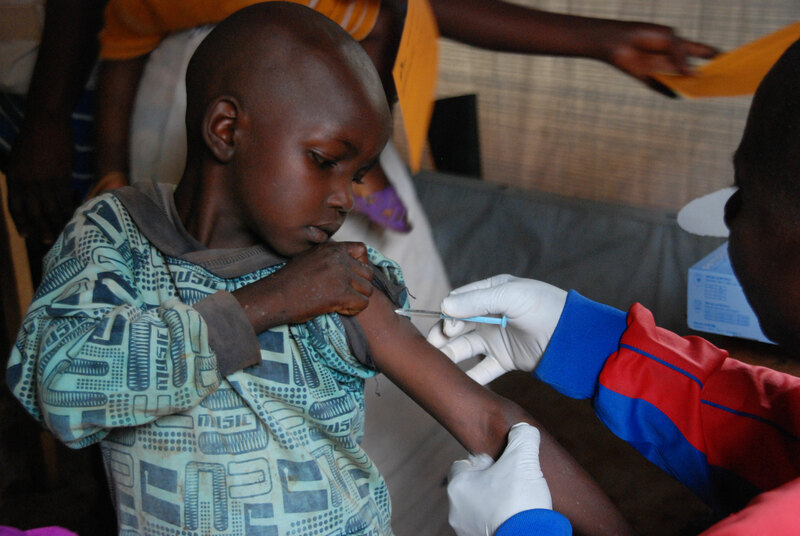 Between 2012 and 2014, the number of Central African children vaccinated against measles fell from 64% to 25% and against acute respiratory infections from 52% to 20%. By the end of 2013, only 13% of one-year olds had been fully immunised. As part of its campaign, MSF is administering pneumococcal conjugate vaccine (PCV), which, because of its prohibitive cost, humanitarian aid agencies have not yet been able to use on a large-scale. Since December 2013, MSF has doubled its medical relief operations in order to respond to the continuing crisis in CAR. Operating in CAR since 1996, MSF now has over 300 international and more than 2,000 Central African staff deployed in the country. The organisation currently runs 15 programmes, some of which provide assistance to Central African refugees in neighbouring countries Chad, Cameroun and Democratic Republic of Congo. Our teams provide free healthcare (paediatrics, maternal health, surgery, HIV and tuberculosis treatment, etc.) and support routine vaccination (EPI) activities. 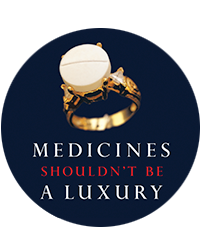 In April 2015, MSF launched its global “A Fair Shot/L’injuste prix” campaign calling on the two manufacturers of the PCV vaccine (laboratories GlaxoSmithKline (GSK) and Pfizer) to disclose the price charged in all countries and reduce the cost to 5 dollars per child (i.e. €4.50 for all three doses) in developing economies. This was followed by the launch of a petition in November.